Since 1997, Solus Decor has been designing and casting ultra high performance concrete to withstand the true northern climate of Canada. Today our highly collaborative team of 20, designs and produces beautiful, long lasting objects that run counter to a culture obsessed with trends and disposability, much like concrete itself. Our artisans, designers, sales and support team strive to consistently create, produce and deliver high quality, hand finished goods that are shipped worldwide. Solus Decor expanded to the UK in 2014. The design community response to the Solus style and aesthetic has been truly outstanding. Displaying at Grand Designs 2016 and being a finalist in the new product of the year award at the Chelsea Flower Show 2016 certainly enhanced the Solus brand. Well-established within the industry, The Garden Builders is known for the design and construction of high-quality gardens in London, including numerous RHS Chelsea Flower Show winners. Clients highly value our impeccable craftsmanship, attention to the minutest detail and exceptional professionalism. In 20 years of operations, since 1998, the Garden Builders has become synonymous with garden-design and construction excellence. We work out of our in Fulham, in a locale teeming with shops showcasing garden furniture, lighting and exterior features, where our passionate team of designers, horticulturalists and landscapers collaborate closely with clients to create beautiful gardens perfect for their lifestyles and requirements. We also have formed close relationships with garden design and landscaping professionals, both emerging and of long-standing, to interpret their designs to the highest quality standards.gardens for their clients. Green Envee design their own products all manufactured to the highest standards using the latest technology and research. Once installed it will be hard to tell the real from the artificial – even to the experts eye! The company strives to provide that truly unique customer experience with service and quality products from the outset. We are supremely confident that our Superior Artificial Planting Solutions will work in any location worldwide. We look forward to meeting you and providing you with our fantastic products. Contact us by email to info@greenenvee.co.uk or call 0203 893 1110. Find out more about the company and the team below. We carry out projects from the start to finish: from survey and design, to garden build, planting and general garden maintenance. WWOO Created by designer Piet-Jan van den Kommer, WWOO is an outdoor kitchen, spa or boundary. It can be either 1.30 meters or 2 metres in height. You can make the kitchen as long as you want, add in WWOO 'wannahave' accessories and create a well-equipped outdoor kitchen, an outdoor spa or a handy outdoor work area. The WWOO is available in grey and anthracite. WWOO is virtually maintenance-free and affordable. Examples of different settings and our WWOO locations can be found on wwoo.nl. With the free WWOO-app you can see how a WWOO fits at your location. A WWOO allows you to enjoy outdoor life the way it is meant to be enjoyed - in all seasons. WWOO kitchens are made up of various components which will give you the freedom to incorporate your own ideas. Some example layouts are shown in the illustration, with corresponding prices per segment. The basic WWOO version is light grey whilst the anthracite color has a surcharge of 15%. All prices are including 20% VAT, but excluding installation costs, transportation costs and accessories shown. Price changes reserved. The possibilities to personalise and complete your WWOO are endless: a Big Green Egg, sink, fireplace, wooden storage boxes, cutting boards - you name it we can either source or make it! Some of these products are exclusively designed and therefore only available at WWOO. For more information, check wwoo.nl and follow us online to stay informed of the latest WWOO must-haves and updates. we love changes, we can design any type of garden. The creative genious behind the company is no other than Mr Orod Ohanians. Winner of 4 medals from the Royal Horticultural Society and medal winner from Chelsea Flower Show . His intrest in horticulture began in the early 80's and since then he has been accumulating a vast knowledge in garden design, construction, plants and water features. Lacey-concepts are designers of fine metal sculptures for the private garden or communal areas, though some pieces are suitable for internal use too. These sculptures are created using harsh, cold and rigid man made materials into which are cut the flowing forms of nature with the result that they sit harmoniously within almost any garden scheme. The intention is to form a union between the piece and its environment not just in the appearance but also in a dynamic manner too. To this end the foils are designed to appear light, almost wafer like, with just enough built in flex to enable them to sway gently in the breeze yet strong enough to maintain the form. Choose from a range of standard designs or commission a bespoke piece which will be unique to you, never to be repeated. We launched our business in 2016. 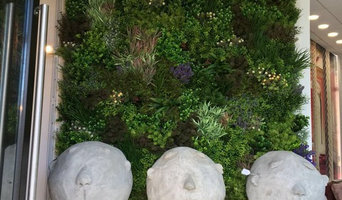 We noticed there were a lot of flower lovers, gardeners and people around us who like decorating interiors, terraces, and patios, as well as people who are looking for stylish pots for their gardening, interior design or landscape design business. We dreamed of doing something really important for these people, and therefore launched this shop. Of course, there are many small flower shops and garden centres. But in these times, they are not enough to satisfy the high demands of true flower lovers! Our mission is to become the best place for you to find planters, garden furniture or flowers. 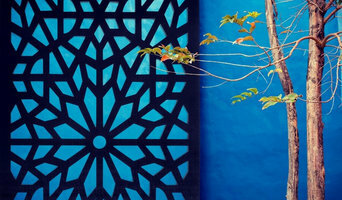 With us you can bring more beauty and comfort to your home, garden or office. TODAY We strive to create long-term relationships with our customers. For this reason, we have developed 5 core responsibilities: Provide a fantastic range of planters, artificial plants, garden furniture and accessories Offer low prices for quality goods for all customers Deliver exclusive service and consultation for every customer Take responsibility for every order placed by our customers Constantly search for new ideas to make our customers happier. We offer you more than just goods. All our planters are very stylish and functional. 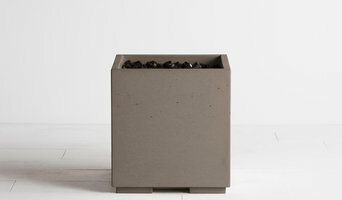 At our online store you can find the best selection of flowerpots from the UK, Europe and Asia. The garden furniture and outdoor fireplaces we offer make the everyday lives of our customers more comfortable and easy. 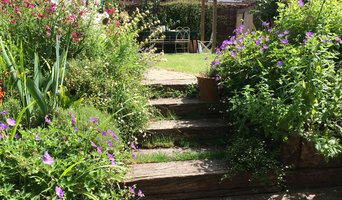 Cypress Garden Services are a friendly, experienced & competitive local service providing garden services for all your gardening needs in Wimbledon, Kingston upon Thames and surrounding areas in South West London. We have grown big enough to take on any workload but small enough to keep the personal touch & attention to detail. Our team of landscapers and tree surgeons are friendly, fully trained, knowledgeable & experienced. We cover all aspects of consultation, design, landscaping, tree work and maintenance providing the best in horticultural and arboricultural services day in and day out! Our main goal is to become the best supplier of everything you need for your "green" hobby. As a result, our focus will always be on exceptional customer service, original goods, the best prices and expert floral consultation. Everything to provide our customers with the best possible gardening experience. Our local Kent office covers our synthetic lawn installs for the postcode areas DA1 to DA18, CT1 to CT50, ME1 to ME20 and TN1 to TN40. These locations include Dartford, Longfield, Queenborough, Edenbridge, Aylesford and more. If you are fed up with the hassle of mowing and trying to maintain the perfect green lawn then a LazyLawn garden is what you need. No more mud through the house and you could spend that extra time doing something you really enjoy. We are professional and experienced installers and no job is too big or small, whether you want a new crazy golf course or a small section in the garden in the Kent area. We can also supply and install artificial grass on roof terraces and in schools and playgrounds. Artificial grass installations in Kent are as close to the real thing as you can get. Our lawns are great value for money with no compromise on quality; they stand the test of time. If you have any questions or simply want to know more information about LazyLawn’s artificial grass installations, please don’t hesitate to contact our Kent office at 0843 659 5882 or 01322 669217, or through our contact form www.lazylawn.co.uk/kent.html or via email at kent@lazylawn.co.uk. Fantastic Services is really all about providing fantastic experiences. It all started when Rune Sovndahl was looking for a cleaner and met Anton Skarlatov, who was running a cleaning business. United around the simple idea to deliver the best experience possible for both clients and professionals, they founded Fantastic Services. Their vision was to clean-up on the industry and provide better services for customers. WE SET NEW STANDARDS BY DESIGNING BESPOKE SOLUTIONS TO GIVE YOUR SPACE A NEW LEASE OF LIFE. AS WE RE-PURPOSE WEATHER LIMITED ENVIRONMENTS FOR ALL YEAR ROUND USE, WE ENHANCE SPACES TO BENEFIT FROM AN EXTENDED FUNCTIONALITY. THIS ADDS VALUE TO ANY PROPERTY WHILST COMPLEMENTING AND ENHANCING THE BEAUTY OF THE SURROUNDINGS. What garden supplies can I get from Grange Hill, Essex garden centres and landscaping retailers? If you’re going for a complete overhaul of your garden, then you’ll probably need soil, turf, large plants, trees, decking or patio materials to make a start. Wholesale garden suppliers in Grange Hill, Essex will be your best option for all the basic garden supplies, so get in touch with them to discuss your needs. Once you have the foundations of your garden sorted, then the adorning and decorating can start, which is where Grange Hill, Essex garden centres will become your new favourite haunt. From seeds, small plants, garden ornaments and plant pots to the bigger structures such as pergolas, greenhouses, garden furniture, water features and planters, garden centres will offer a wonderful range of garden supplies and accessories to help you lade your garden with lovelies. Find specialistGrange Hill, Essex garden suppliers if you’d like more uncommon garden features, like fire pits, garden sculptures, raised flower beds or special garden lighting. You can even find vintage garden accessories from some retailers if you want the shabby chic, eclectic garden look. Garden suppliers and landscape supply professionals in Grange Hill, Essex will be able to offer advice on the suitability of certain products for your garden design and possibly assist with the installation and maintenance of your garden supplies and features. You may wish to involve a garden contractor or landscaper in your garden supply choices, as they will also have a clear idea of what materials and items are best. They may also be able to recommend Grange Hill, Essex garden centres in your area that they have worked with before. Here are some related professionals and vendors to complement the work of garden & landscape supplies: Landscape Contractors, Main Contractors, Landscape Architects & Garden Designers. Find landscape and garden supplies on Houzz. Search the Houzz Professionals section for Grange Hill, Essex garden centres and garden suppliers. Browse photos and read reviews. You can also explore full-service Grange Hill, Essex landscape architects and garden contractors.